Whether you’re a fan of eastern philosophies or simply in need of some tranquillity in your life, a Zen-inspired design will enable you to turn your home into a peaceful paradise. Focusing on natural materials, simplicity and moderation, this style will accentuate your space through a careful use of elements that are meant to inspire you with serenity and mindfulness. If you want to create a peaceful ambience in your home, you should make sure that it has a smooth flow of energy. 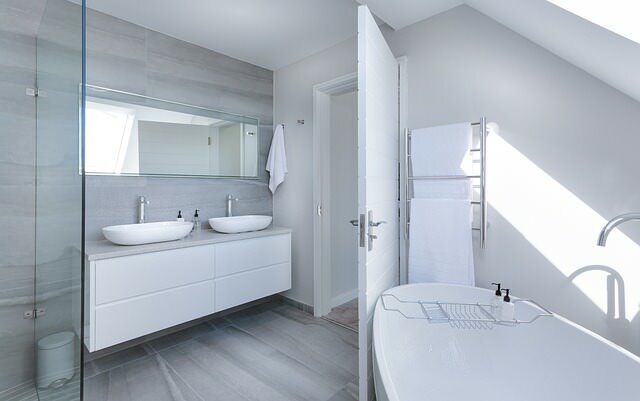 A simple way to achieve this is to open up your space and give it an airy vibe. 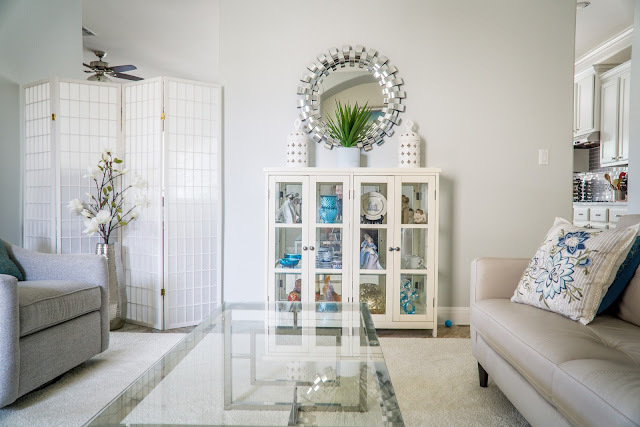 According to Feng Shui principles, you should remove clutter from your home as it can create an overbearing atmosphere and make you feel anxious. You should be mindful of your home and how you use your space, giving each item a unique purpose to your space. Removing clutter will make your home seem more spacious and positive. Clean air is also important for a great flow of Feng Shui energy, so you should open up your windows often and use non-toxic products for better air quality. In a Zen-inspired home, natural light is of the utmost importance for designing a pleasant, peaceful ambience. Not only will it accentuate your home’s features and fill it with a soft glow, but it will also make you feel happier and more energised. Thus, you should always use an opportunity to invite sunlight to your home. As for artificial lighting, you should avoid fluorescent and direct lights and use softer ones that will help you create a subtle atmosphere. Introducing different fabrics to your space can create a feeling of comfort while also creating a layered look. When choosing fabrics, you should focus on light, natural materials, such as wool, organic cotton and linen. These can be used for your bed covers, light curtains, decorative pillows and lovely bedsheets. As for rugs and carpets, floors in Zen-inspired homes are generally left bare, letting their textured appeal come into focus. However, you can still use rugs made of natural materials, such as rattan, jute, sisal and hemp. They will keep your feet warm and cosy, and give your space an organic touch. Japanese aesthetics is rather simple and subtle, yet infinitely appealing. Such principles are also present in Zen-inspired homes. 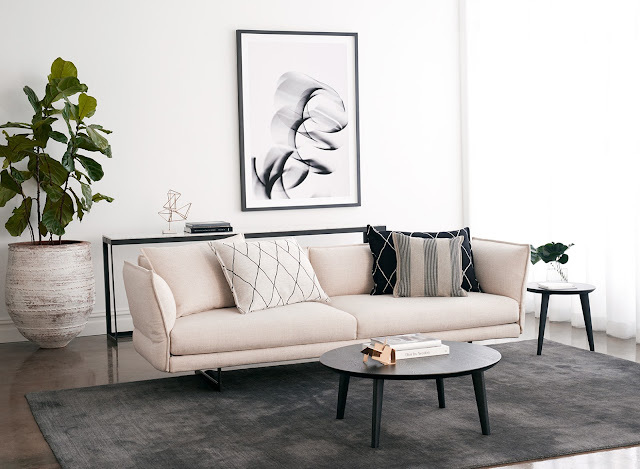 Thus, when furnishing your space, you should go with pieces with clean, simple lines with a subtle design. There’s no need for fussiness and ornamentation because the simplicity of such pieces is what gives them their elegant appeal. For instance, simple upholstered couches can be a beautiful addition to Zen-inspired living rooms. They can take the centre stage, but still create understated appeal. If you go with such an upholstered piece, its subtle texture will add to the cosiness of your Zen living room without creating an exaggerated look. The bedroom is a sanctuary within your sanctuary. It should feature a calming design that will inspire you to relax and get in touch with your inner self. If you believe that it needs an update, you should take some time to revamp it and introduce a sense of novelty. You can apply a fresh coat of paint, introduce new sheets or energise it with greenery. 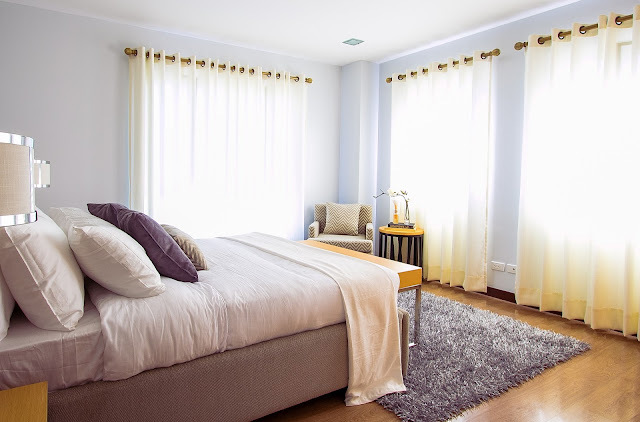 Your bedroom should have your personal touch while still maintaining a balanced atmosphere. Of course, the bed will be the focal point of your room, so make sure that it stands out. Embellishing it with lovely throw pillows and cosy blankets will make you feel comfortable at any time. Nature plays a crucial role in Zen-inspired homes, serving as the main source of inspiration and peacefulness. Thus, it’s not surprising that its hues are the most popular choice for a Zen-inspired colour scheme. Earthy shades will help you invite peaceful harmony to your haven. Beige, brown, green, white and touches of brick red are all possible choices for your home’s palette. While pale shades should be used for the backdrop, darker and stronger hues are reserved for furniture and accent details. Of course, warm wood tones and grey stone shades are the most dominant ones in a Zen-inspired home as these two materials are used generously. Greens are introduced both through details and plants, inviting an energising natural vibe to a space. Dressing up your windows will provide your sanctuary with privacy and style. However, since Zen homes need plenty of light, you should use functional solutions that will allow it to permeate your space. Light, gauzy curtains are a popular option that will help you create a deep, layered look. You can also use lovely bamboo blinds that will style up your space and fill it with a Japanese-inspired vibe. 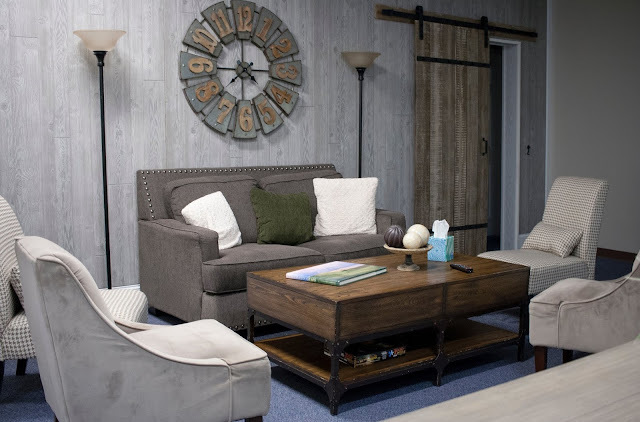 Designing a Zen-inspired sanctuary will not only fill it with an authentically appealing atmosphere, but it will also provide you with an opportunity to bring serenity to your life.